Scoliosis and Spinal Disorders no longer receives submissions. BioMed Central hosts an archive of all articles previously published in the journal. 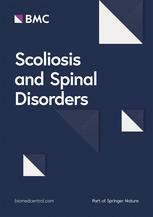 BMC will continue to host an archive of all articles previously published in the journal, and all articles published in Scoliosis and Spinal Disorders will remain fully searchable via the BMC website.